Sorry to keep harping on Hoelldobler & Wilson’s The Superorganism. But Wilson’s section on ant evolution is so bad, so out of touch with the state of the field that I can’t help but to rant. …Barry Bolton has recently split Ponerinae into seven subfamilies (Ponerinae, Amblyponinae, Ectatomminae, Heteroponerinae, Paraponerinae, Proceratiinae, and the fossil Brownimyrmicinae). Still, there is no reason as yet to doubt that the assemblage as a whole represents a diversification from a single Mesozoic ancestor. Who are the systematists who consider these poneromorphs to be monophyletic? None that I’m aware of. Wilson is the last one left, ossified in the same perspective he had in the 1960s. What’s even odder is that he reproduces the Moreau et al phylogeny on page 316, and it contradicts nearly all of his phylogenetic statements in the text. Did he read the figures in his own book? As a consequence, the whole section of The Superorganism devoted to the evolutionary history of ants is muddy, incoherent, and entirely at odds with the increasingly clear picture emerging from modern studies of ant relationships. *Astruc et al 2004, Moreau et al 2006, Brady et al 2006, Ouellete et al 2006, Rabeling et al 2008. 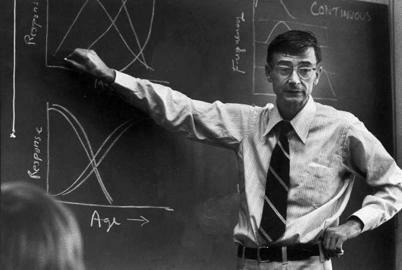 Why does Myrmecos Blog have it out for E. O. Wilson? I’m left wondering (just a little) why Alex has such a beef with Dr. Wilson. This is not the first post taking a jab at Wilson, so while Alex makes an excellent point, I’m also sensing some underlying issues here…. Eric is right there’s an issue. It is one many myrmecologists, especially systematists, have been tip-toeing around for a while now. The short version is that Wilson is no longer at the leading edge of myrmecology. As he has fallen out of step with the practicing research community, his public ant commentary is increasingly at odds with the situation on the ground, as it were. This predictably puts the current generation of myrmecologists in a bit of an uncomfortable position with respect to the community’s most public representative. Hence the underlying issues. [Q:]Are ants better at anything than humans? [Wilson:] Human beings have not yet made an accommodation with the rest of life—whereas ants, whose history dates back more than 100 million years, have achieved that balance, mostly by specializing among the 14,000 known species in terms of where they live, what they eat, and how they relate to other species. Each, for the most part, has acquired a balance with prey, food, and space, halting population growth before it crashes. Ants have reached some degree of sustainability, while humans have not. We’re not going to last 100 years if we don’t start settling down. I think the available evidence suggests the opposite. Ants achieved their current dominance not through finding some magical ecological balance but by driving their competition to extinction. Consider the ground beetles. They are an older group of insects, occupying a similar soil/ground predatory role to many ant species. But this ancient group of beetles is globally most abundant now only around the periphery of the ants, filling in the cracks that are too cold, too dark, too extreme for the Formicidae. Ground beetles abound in boreal forests, along ice fields, in alpine meadows above the tree line. What’s more, those that persist in the ant-rich tropics have a more potent defensive chemistry, as if those species that didn’t retreat in the face of the ant radiation stocked up on guns and ammunition. We don’t know for certain, but the bits of evidence taken together it’s likely that the rise of the ants had a pretty significant effect on the ground beetles. This nature is more Red in Tooth and Claw than singing Kumbaya in global harmony. I understand Wilson’s angle- that humans are destroying the ecological systems that sustain us- but surely that same point can be made without resting it on feel-good pablum without any empirical grounding. NOVA is excited to partner with organizations that share our passion for scientific discovery as we spread the word about upcoming shows. On Tuesday, May 20, we invite you to join us for a look at the life and work of renowned Harvard entomologist and conservationist E.O. Wilson. From his groundbreaking discoveries about ant culture to his controversial take on the biological basis for human behavior, NOVA presents a sweeping chronicle of Wilson’s extraordinary career. In six decades exploring treasure-troves of biodiversity across the globe, Wilson has discovered more than 300 new species and emerged as an outspoken environmental advocate, fighting to preserve the astonishing diversity of our planet for the next generation of naturalists. 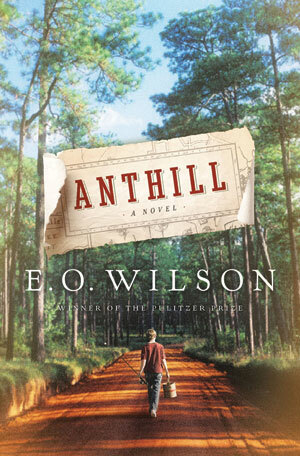 You can also learn more about Wilson’s career–and get a close-up look at some of the planet’s wildest ant varieties– here. We hope you will help us get the word out about “Lord of the Ants” by passing the attached e-card on to friends and colleagues who might want to tune in. Thank you!